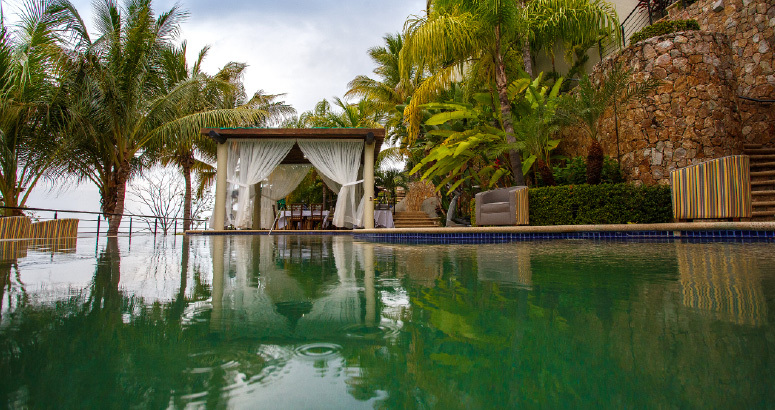 Villa Armonia is a luxurious retreat located in the sleepy seaside town of Boca de Tomatlán, just a short scenic drive south from Puerto Vallarta on the Bay of Banderas. 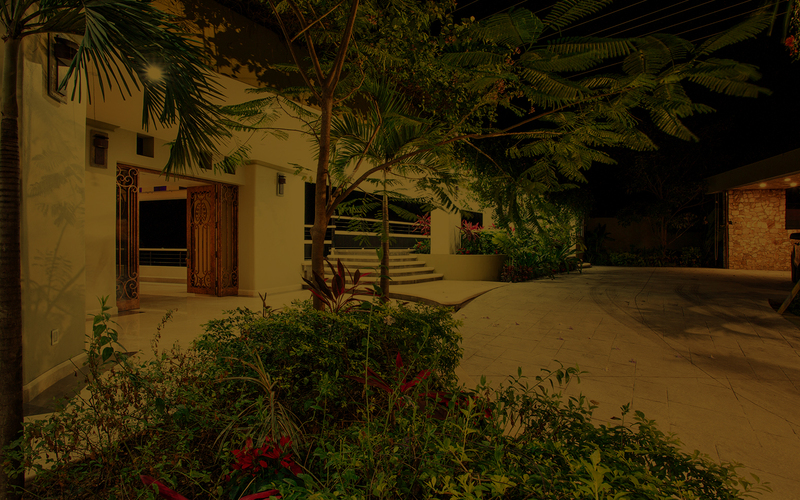 We are an exclusive six-bedroom villa with availability by room or total occupancy. Each room is adorned with tasteful modern contemporary décor to appeal to all travelers. With ocean, beach, and jungle views, you are sure to relax, unwind, and enjoy. 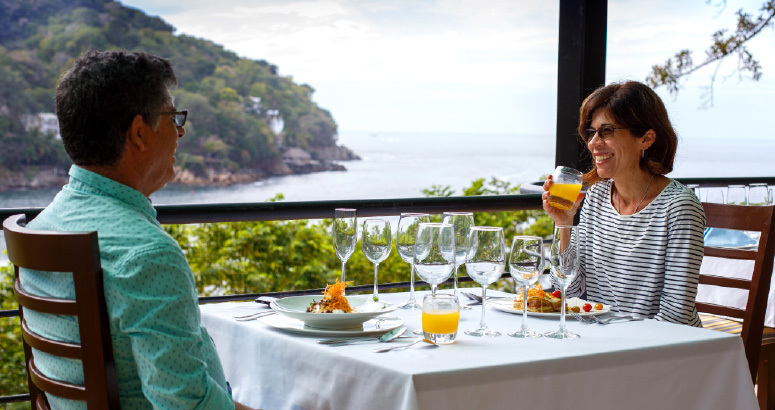 Enjoy breakfast, lunch, dinner, and our full bar while overlooking the beautiful Bay of Banderas.  A one of a kind culinary experience that is truly unique, indulge in French, Mediterranean, and local cuisine.  We use the finest ingredients, herbs grown on site, and authentic French techniques in every one of our dishes. Find yourself surrounded by gardens and nature only steps away from our full service bar. Unwind with your favorite drink in one of our many lounge areas. 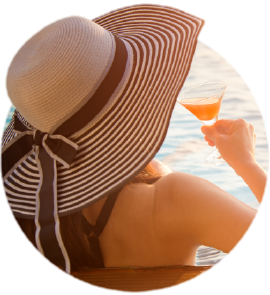 Lounge poolside with one of our specialty cocktails and unwind. 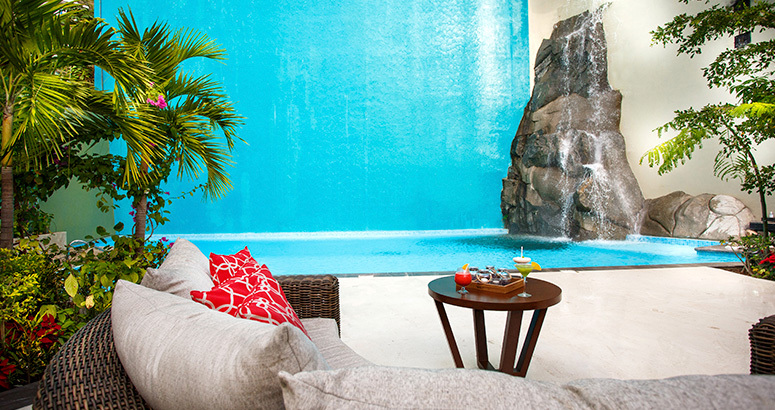 Take a dip in the pool and swim beneath our natural rock waterfall. Read your favorite book under the shade of our gazebo. No matter how it is that you enjoy this space, it will make for a perfect afternoon. 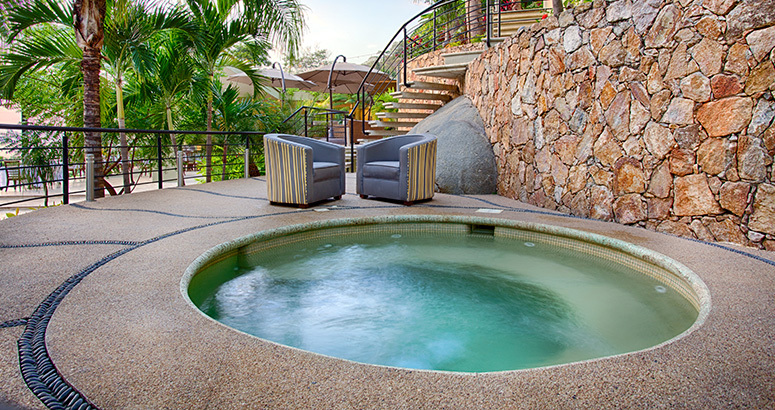 Settle into our 104 degree Fahrenheit Jacuzzi for pure relaxation. Surrounded by beautiful gardens, this is sure to be your favorite place to end your day. With an impressive size of 60 feet high and 60 feet wide, pouring approximately 5000 gallons of water per minute, our waterfall is one of the largest man-made cascades in all of Mexico. An amazing wind breeze is produced by the downpour of water, a breathtaking sight to enjoy. A sandy area perfect for recreation and family fun. Enjoy your own beach, steps away from our impressive swimming pools. Relax in a hammock or simply take in the view. 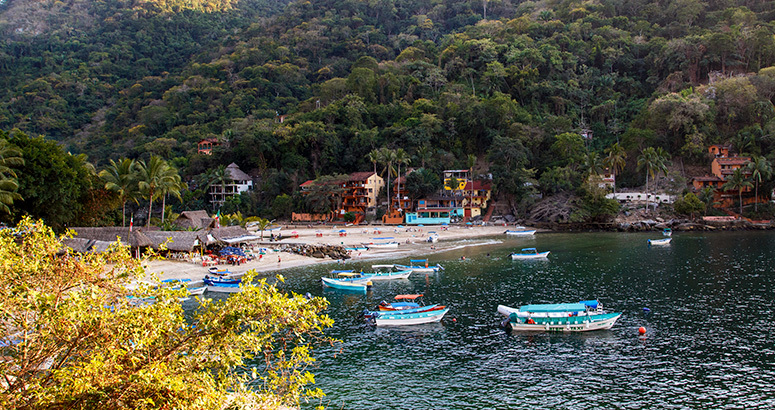 Follow our path and arrive in the fishing village of Boca de Tomatlan. Explore this quaint town, take a dip in the Bay of Banderas, hike through the jungle, and immerse yourself in the cultural wonders that Boca has to offer. 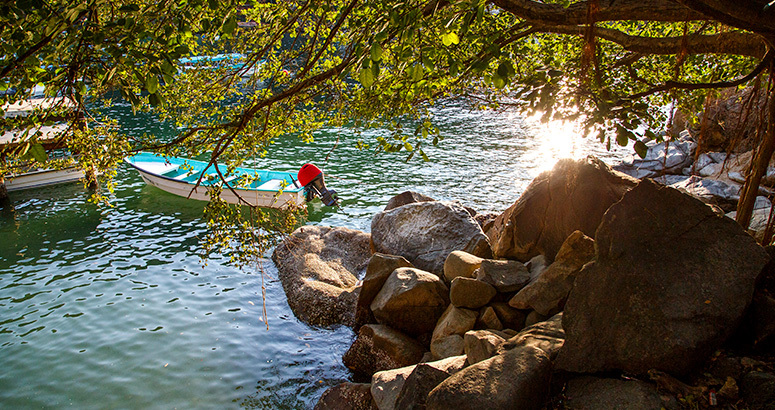 Take a private tour on a panga and discover the many beaches on Puerto Vallarta’s south shore. Allow us to make your Puerto Vallarta visit as comfortable as possible. Discover your home away from home and enjoy what we have to offer.